Vacuum flask for solids with handle. 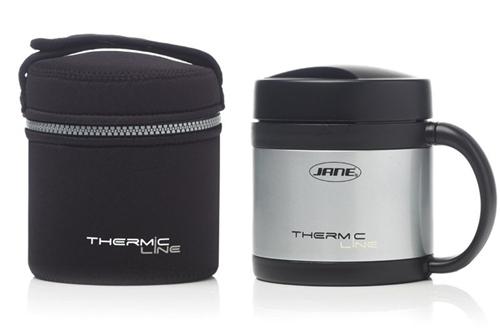 Keeps food hot or cold for up to 10 hours due to the insulation of the double wall vacuum. The screw on lid has an airtight seal. Good sized handle for holding.